Some of you may be aware that I have the privilege of attending the Lions Experience. This month, I found it particularly challenging, in a good way ! To keep this brief – we were asked to pitch our business in 60 seconds. So we had to make sure that we knew what we were doing, what we wanted and where we were going. To say it politely I flunked big time … just as well they were gracious and kind and it was just a test run. But the three hour journey home from Birmingham gave me some quality time to talk with God and ask some direct and serious questions. In 2013, I believe God asked me to paint full time. So we stepped out in faith and bought the cabin that my dad build. If you remember, there was a daily update through the whole process. It was fun but freezing cold. We graduated from the kitchen table to the cabin while running the very new business, ‘Just Believe’. We began to learn to make prints and aimed to present them with excellence. 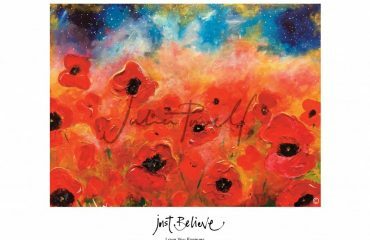 Just Believe continued to expand with increasing invitations to run workshops and paint at conferences along side internet sales from the website. In December 2013 I started praying for a strategy for Just Believe and in Feb 2014 God gave us one which is called Twelve.12. In my 3 hour car journey home I asked God to reveal my heart and motive. I simply love Jesus and want others to know HIM too ! It’s not complicated or sophisticated. It is simply me. I believe God has released in me the ability to paint prophetic art. I say this because I definitely could NOT paint before I went to Bethel in 2011. That’s another story !  So with this gift and the passionate desire for others to know HIM, I am able to paint pictures that hopefully express HIS love to the observer…. His children! I love Jesus and I want others to know HIM too. Im a prophetic artist and with my work I want to take the Kingdom of God to the people in the consumer market. I’ve merchandised my work and opened a shop on Stockton High Street in November last year. The testimonies we have are incredibly encouraging. BUT we want the Kingdom of God to reach people in the consumer market throughout the UK. We believe reconnecting sons and daughters with their creative DNA is a step towards releasing the Kingdom of heaven on earth. We deliver a whole day of creative sessions, giving individuals an opportunity to reconnect and experience God in a variety of creative expressions such as art, poetry, prophetic actions and dance. The strategy is simple – it is to reach twelve churches in twelve cities over twelve months. Empowering, equipping and releasing people in to their places of influence. There !!! haha was that 60 seconds ?? but there’s more. !!!! Anyway …. In short, Just Believe plays two parts. 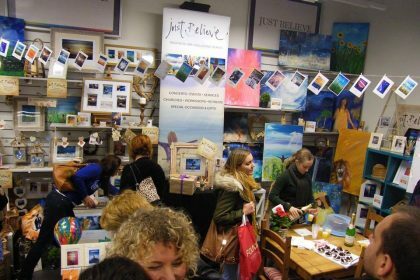 The prophetic art is consistently open to the public on the High Street. To share the gospel to people who may have never thought of God, church or His love. We have entered in to the consumer world and the response has been exciting. 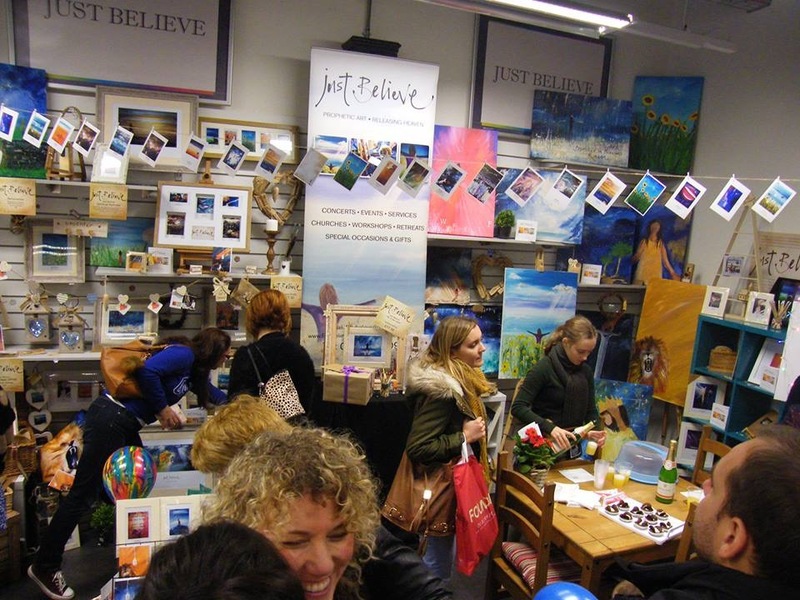 Secondly – Just Believe helps to financially support Twelve.12 – Every Twelve.12 event is free. 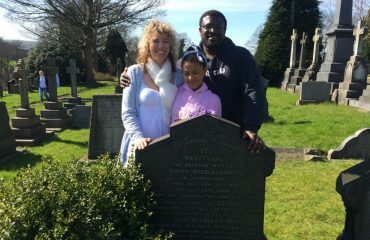 We were incredibly blessed by our first visit to Liverpool and the love gift they gave us. At the moment there are 10 people in the Twelve.12 team who generously give their time to share and impart gifts and talents to help release people into creativity. Weather dance, prophetic actions, poetry, art and singing. These people are accountants, window cleaners, Pastors, artists, teachers, musicians, techno dudes too. They live all over the UK and come together to run Twelve.12. They make one incredibly powerful and amazing team. So thats Just Believe – Thats my heart. I love Jesus and want others to know HIM too. I would love for you to pray for Just Believe and Twelve.12. I’d also really love you to support us by sharing Just Believe brand as much as you can. The more people know about Just Believe, the more chance we have of supporting twelve.12 to release and equip others too. Thanks for reading. Im sending you lots of love, hope and joy in Jesus. Please feel free to leave a comment or message me, I’d love to hear from you.